Delight your recipient with charming bouquet complete with pink alstroemeria, green carnations, purple daisy poms, and pink waxflower. 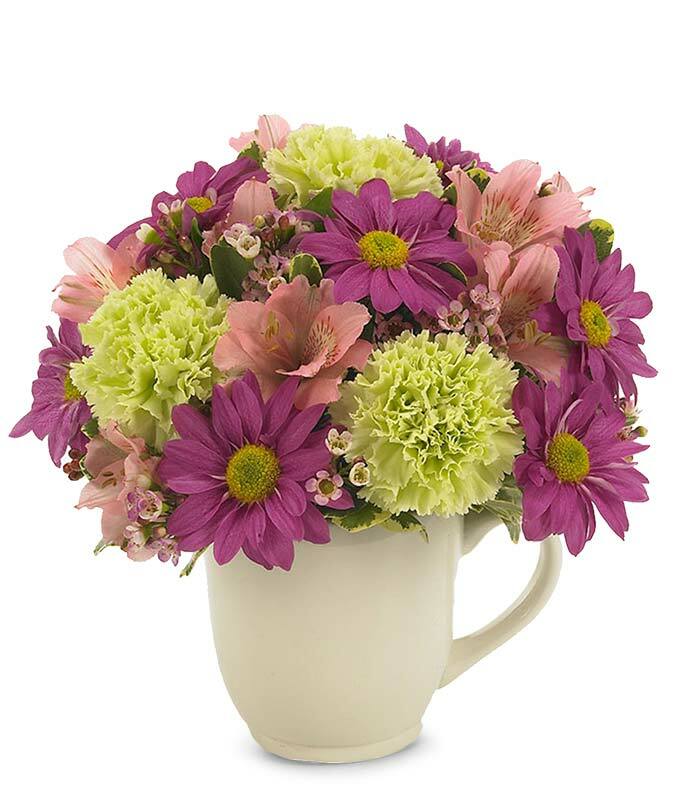 Available for delivery today, The Rise and Shine Bouquet is situated in a resuable mug. Arranged by a local florist, this bouquet makes for a pretty gift for a birthday, graduation, or just because. Measures 9"H by 9"L.